Wow! Right now 12 Pairs of Women's Performance No-Show Socks by Tek Gear are just $11.99 (Reg. $72)! That's $1 a pair! Shipping is FREE on this offer! 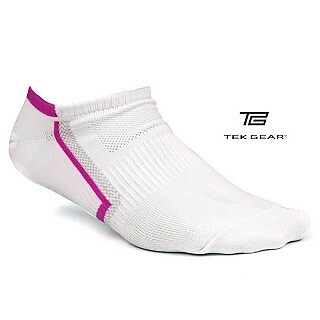 Stock up on quality, high performance no-show socks from Tek Gear with this 12 pack! With a no show design and mesh top for superior ventilation, these socks are great for fitness and casual wearing! Ladies sock size 9-11 (Shoe Size 4-11) .